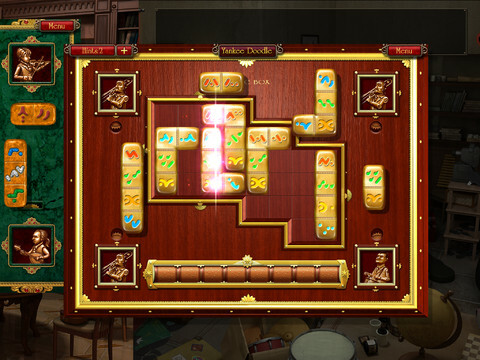 Musaic Box HD is an iPad game developed by KranX Productions. 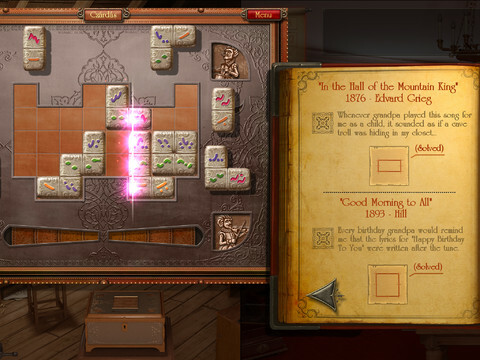 In this mysterious iPad game, you need to search a room for information about music that your grandfather taught you. Part puzzle, part music game, Musaic Box HD is quite enthralling. It might look like a typo, but the word “Musaic” is actually a clever blend of “music” and “mosaic,” which alludes to the dual nature of the game: building musical themes out of mosaic-like puzzle tiles. 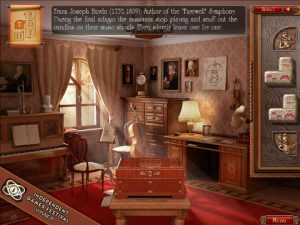 In Musaic Box HD, you reconstruct famous melodies from fragments played by different musicians. Suitable for all ages, you don’t need any music training to understand how to play this game. It’s a bit like the book “Sophie’s World,” but with music instead of philosophy. 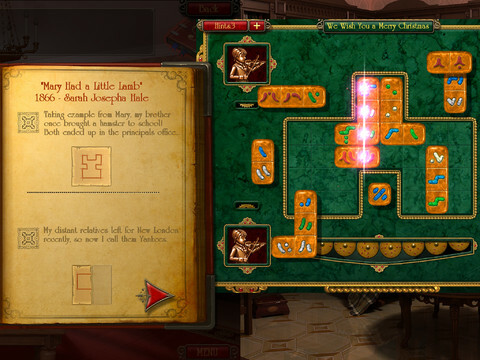 There’s an enigmatic character forcing you through a set of lessons and puzzles as a way of teaching you music. And as with any good puzzle game, there’s an in-app option to purchase hints to help you out when you get stuck on a particularly tricky song. Some users might not like Musaic Box HD for the same reason that they dislike games like Guitar Hero or Rock Band: you spend all this time playing a music-related game, but never learn how to read musical notation. It’s a fair argument: the mosaic tiles are cool and all, but you could use this game to actually get kids excited about music if there were more notation elements in the game. Winner of an award from the Independent Games Festival, Musaic Box HD features great graphics and a good array of music. With Hidden Object game elements to help you find clues to solve the more difficult melodies, Musaic Box HD has a lot of different gameplay modes to keep players entertained. Musaic Box HDis compatible with iPad. Requires iOS 4.3 or later.